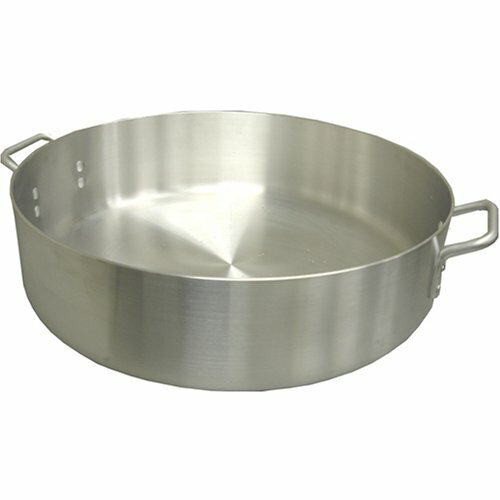 This professional-grade brazier, made with standard weight heavy aluminum, is the perfect kitchen tool for long, slow cooking. The wide, double-thick bottom distributes heat evenly and thoroughly, making it the ideal solution for cooking meats and vegetables with reduced amounts of liquid. Durable heavy-duty handles for easy handling. Certified by the NSF.